Representatives from the diesel engine manufacturer, Cummins, the State of Indiana, the City of Columbus, Indiana, and Bartholomew County, are expected to make an announcement next week regarding a major investment in the city and the Cummins global headquarters. While details are still limited, officials have indicated that as much as $80 million will be spent on a new railroad overpass and another project within Cummins’s global headquarters in downtown Columbus. The announcement is scheduled to take place at 1:00 p.m. at the Cummins office. The railroad overpass will likely serve Cummins manufacturing in the area. 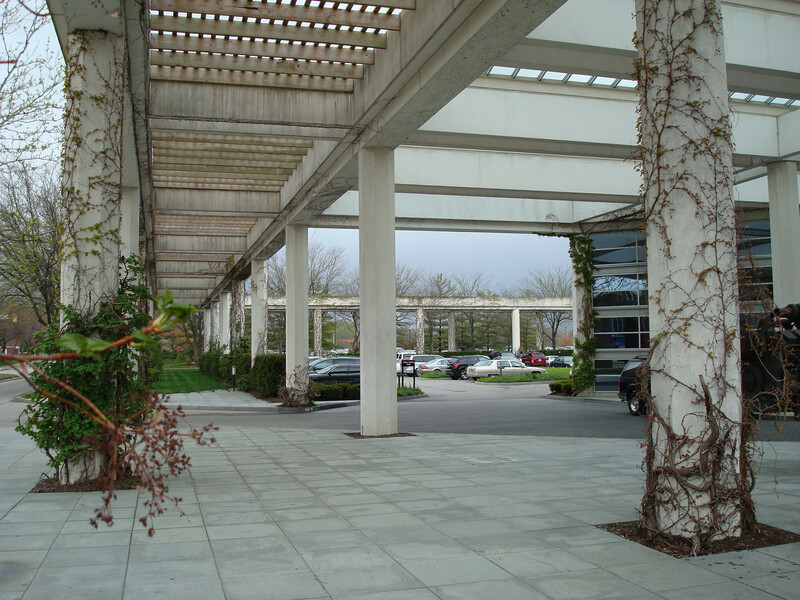 The Cummins global headquarters was designed by Pritzker Prize-winning architect Kevin Roche. Constructed in 1983, the building is one of many notable architecture projects in the small central Indiana town. Cummins’s CEO, H. Irwin Miller, was a longtime patron of architecture and was the founder of the Cummins Foundation in the 1950’s. The Cummins Foundation provides support, though the payment of architecture fees, for the construction of public buildings in Columbus.